The Uvex HLMT 400 Visor Style, comfort and style: new Uvex HLMT 400 Visor Style. The first Uvex OTG (over the glasses) visor helmet combines safety, comfort and style. Specially designed so that all types of glasses fit under the visor. 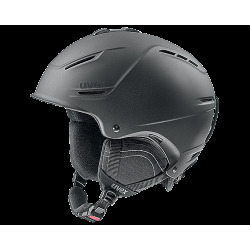 The first Uvex OTG visor helmet with style, the Uvex hlmt 400 Visor Style is a true multi-talent. This visor helmet doesn’t only offer superior protection, it also fits comfortably. Unique OTG design means spectacle wearers can wear any kind of glasses under the visor, without pressure or pinching. 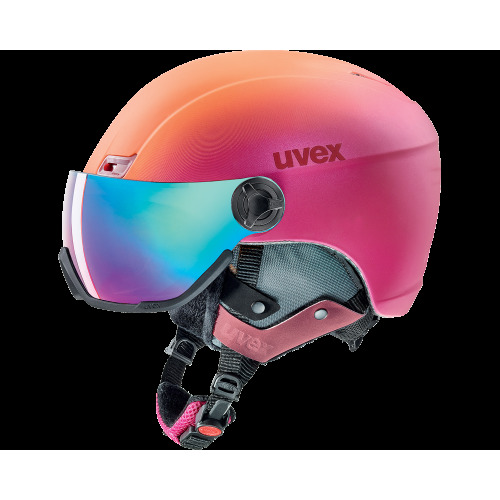 Uvex hlmt 400 Visor Style is a true fashion highlight. Cozy lining, fashionable ear pads and matt finish make it a real eye-catcher on the slopes. Specially designed foam face pads let the visor sit comfortably close to the face. 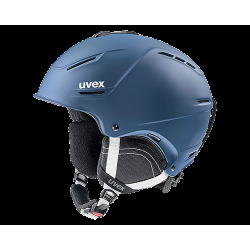 The helmet Uvex hlmt 400 Visor Style’s active ventilation system ensures you keep a cool head on warm days. Adjustable vent openings deliver fresh air when required and are quick and easy to close if temperatures drop. The uvex litemirror visor reflects dangerous infrared rays and protects from the glare of harsh winter sun. The helmet has a removable, washable liner. 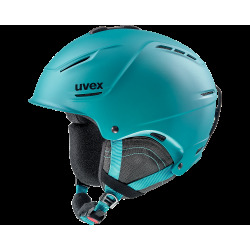 It is easy to adjust the width of Uvex hlmt 400 visor style helmet, thanks to the Uvex IAS fit system. Inmould construction, light and Stable, EPS is foamed directly into the impact resistant polycarbonate shell. For a helmet construction that is light, yet extremely stable.